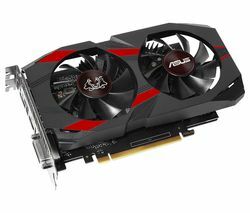 A new graphics card can give your PC a noticeable performance boost when it comes to PC games. Upgrading your graphics card will give you higher frame-rates and stunning visuals for an unparalleled gaming experience. If you’ve found your PC can’t handle the demands of today’s games, a new graphics card could make a big difference. It will take your gaming PC to the next level and transport you to a world of high-quality gaming. Adding extra monitors to your set up can make gaming even more immersive, but will often demand a massive amount of processing power and slow everything down if you’re not using a high performance graphics card that’s been specially designed for the job. If you’re looking for the best gaming experience possible, with 4k resolution and incredible graphics that will blow you away, it's a good idea to upgrade today. Treating yourself to some high-end gaming doesn’t need to break the bank as we have plenty of great value and cheap graphics cards available. Check out our affordable EVGA graphics cards range and you’ll find everything you’ll need to get better graphics and better gameplay. 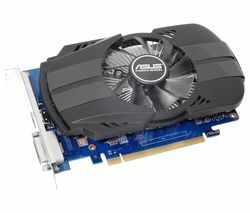 And if you’re looking for something special take a look at our Asus graphics cards. Whether you’re a gamer or a graphics designer, if you’re looking to give your PC a boost, our graphics cards are ideal.